Durable, sleek and eco-friendly, the Girls? 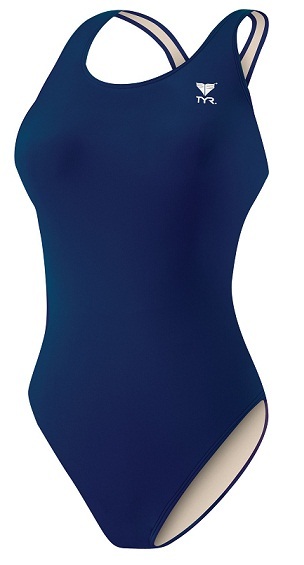 TYReco Solid Maxfit Swimsuit is a triple threat. Our one-of-a-kind TYReco textile, constructed from recycled fabric, requires less energy to produce, creating a lower level of CO2 pollution. Featuring a medium neckline, thick/supportive straps, keyhole back and moderate cut leg, our Maxfit swimsuits are built for athletes who want fuller coverage during every swim. In addition to providing a long-lasting fit, UPF 50+ protection and chlorine resistance, the MSO1Y is offered in a variety of color options. Copyright © 2009-2014 Metro Swim Shop. All rights reserved.